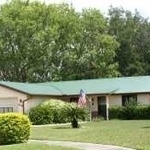 Well maintainted 3 bedroom, 2 bath split plan home in the heart of Apollo Beach. 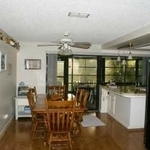 The spacious updated kitchen offers plenty of space for all your cooking needs. 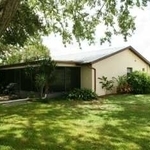 There is a large breakfast bar and pass through window to the screened patio which makes entertaining a breeze. 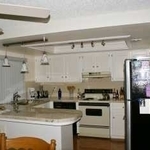 All appliances are included in the sale of the home. The huge living room is light and bright and offers lots of options to arrange your furniture. 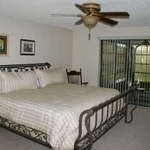 The home has ample storage space with lots of closets throughtout the home and a walk-in closet in the master bedroom. 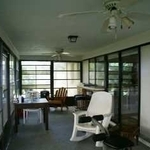 Enjoy the screened patio in all types of weather...in the winter leave up the vinyl windows to keep out the cool winds and take them down in the summer to enjoy the warm Florida sunshine. Leave room in the garage for your car. 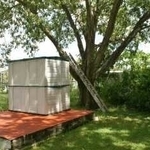 There is a 4 x 6 shed in the bakyard that gives you spape to strore al of your yard and gardening equipment. Like to tinker...there's a lare workbench in the garage fr your hobby needs. No need to worry about replacing the roof anytime soon...a new metal roof was installed in June of 2013 and the hot water heater was replaced last year. There's a county park just down the street which offers basketball, tennis, volleyball, beach volleyball, a paved track, a softball diamond, and a playgrou, as well as a covered pavillion. Grab your clubs and head down to the public Apollo Beach Golf course that's only minutes from the home. 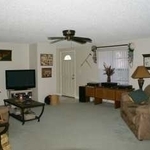 Nearby to beaches, I-75, local shopping, restaurants and hospitals.